My story is based on the original fairy tale called “The Three Little Pigs.” My animation is only about the third little pig, and the big bad wolf. 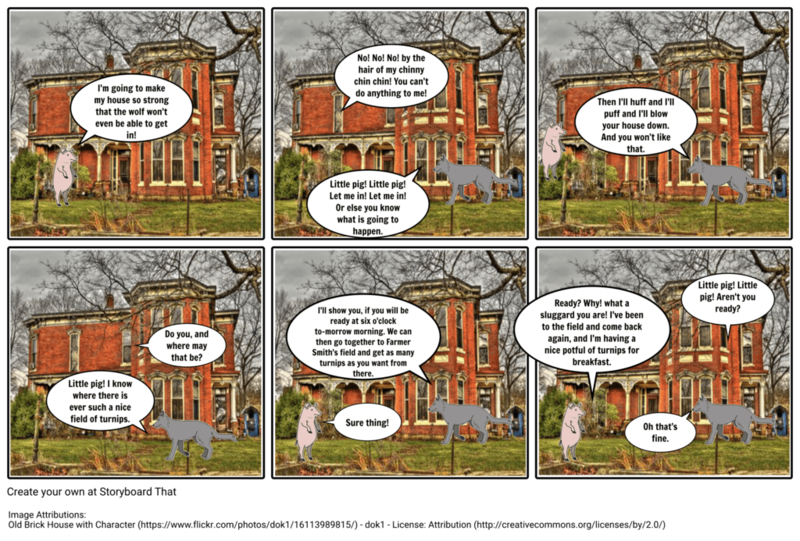 In the original, the wolf keeps tricking the pig, and eventually eats the pig because he keeps getting tricked and won’t realize it. 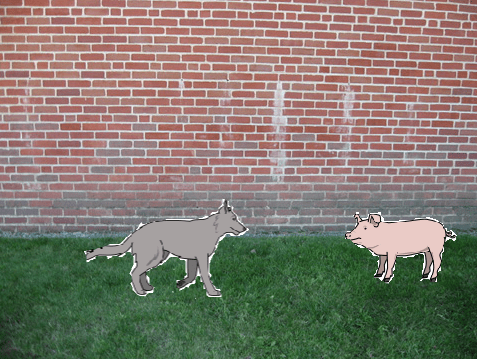 In the alternate ending that I wrote the wolf tries to trick the pig many times, but instead, the pig starts tricking the wolf and eventually the pig finds out what the wolf intends to do; eat him alive. So he makes a plan and soon kills the wolf and eats the wolf instead of vice versa. In the process of making my animation, I had used many wait blocks, so the characters know when to speak. However, I messed up on a few, and that led me to make my animation not to have the right timing. In some of the parts, the charters speak over each other. I also used the if, then, else block to make sure the main characters moral decision was on the spot and they asked and reacted appropriately according to what the viewer decides. Also, I used broadcast blocks to make sure the timing for that part was also correct. In my script, I made many changes and had a lot of narratives. This was because I wanted the viewer to know exactly what was going on and how the characters were moving/acting. The Three Little Pigs Remixed by Nyasa is licensed under a Creative Commons Attribution-ShareAlike 4.0 International License.